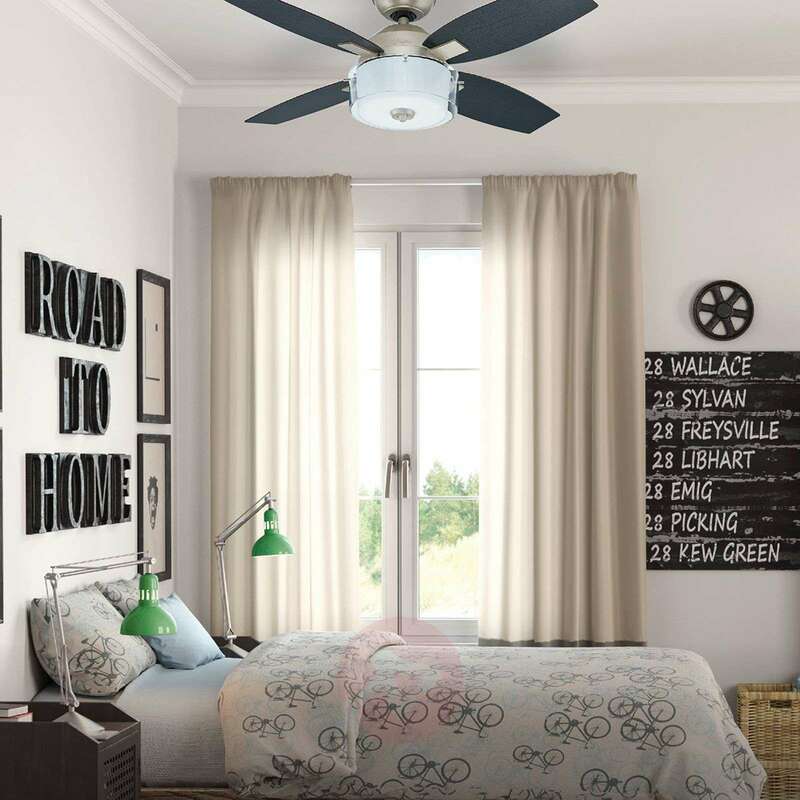 The small, compact ceiling fan Central Park, which is equipped with the quiet Whisperwind® motor, has four reversible blades made of wood. A high-quality milky glass light with a modern acrylic ring all around is also included. 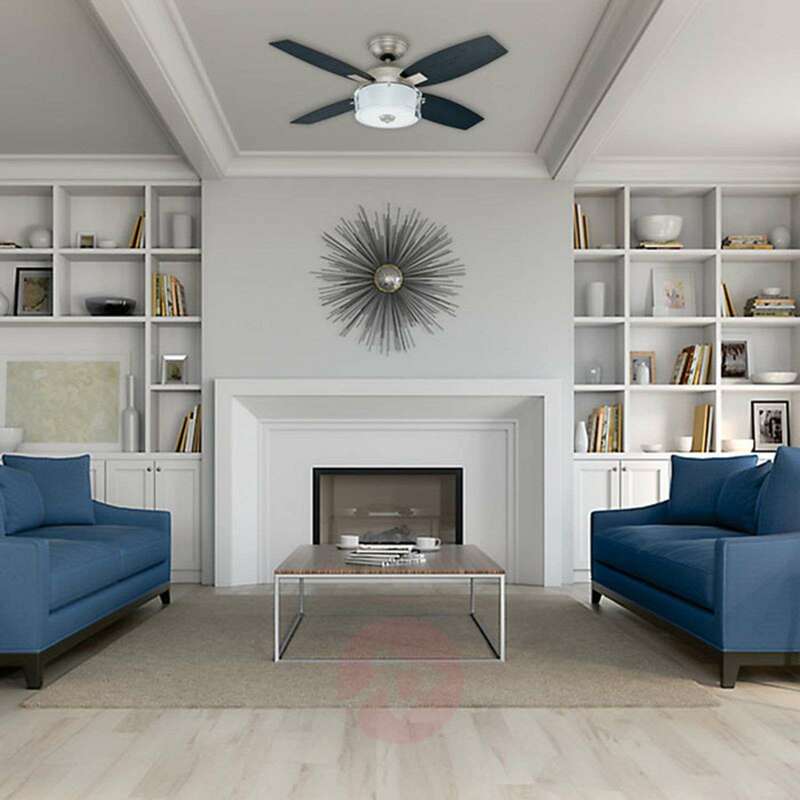 All of this together makes the model from the American traditional company Hunter a simple, but extremely functional variant of a modern ceiling fan. Forward and reverse rotation can be set via a sliding switch, making a summer and winter mode possible. 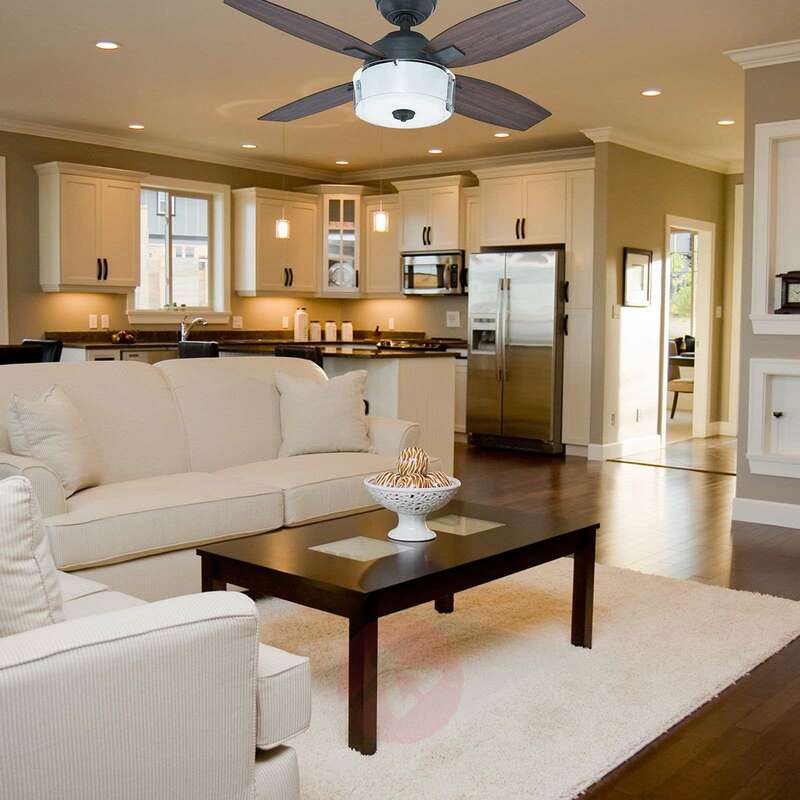 The ceiling fan Central Park is controlled by the included wall switch. 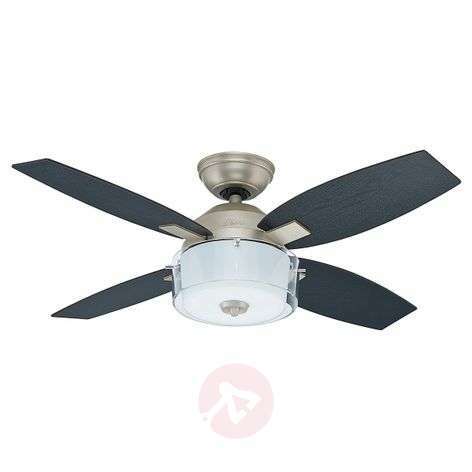 In addition to regulating the three speed levels of the fan, this also has an on and off switch for the light. The ceiling fan can also be upgraded with a remote control (available as an accessory). The motor is energy-optimised and very quiet.